RMTi is a nonprofit organization that provides professional training & licensing and offers a worldwide network of instructors & consultants to the community. 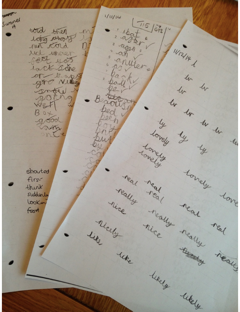 A delighted parent brought these samples of hand writing in for me to see. The first one is from my client, before they found RMT (Sept). The second one is two weeks after his first session. The third one is two weeks after his second session. He has gone up 2 sub levels in his writing in three months, nearly two sub levels in his maths and one sub level in his reading - just with RMT. Over the moon. Inattentiveness- easily being startled (jumpy)- poor fine and gross motor skills- lack of confidence - lack of co-ordination (clumsy)- an inability to sleep long or deeply- a dislike/fear of loud or noisy spaces- though a gentle and sensitive child he became aggressive and lashed out if someone knocked into him or shouted near him-he would be devastated if he dropped something. I have a young man, age 14. He is a small, petite, very dirty and always full of head lice. His mom and dad are divorcing, and they are not entirely focused on the outward expressions of distress such as his stench and filth other than him getting into trouble, doing drugs, fighting, and failing school. More success here in Canada with bedwetting issues and the exercises for Spinal Galant integration. Five passives, snow angels, pre-birth activities (particularly the lower body ones),side-lying isometrics in 4 planes, and lots of dancing the twist and proprioceptive games like wheelbarrow, crab walk, etc... Parents are noting changes in only a few weeks’ time, specifically those kids who are not aware they are wet at night and some kids are getting up to go to the bathroom rather than soiling the bed. Had to share! And how can I communicate and not share a "husband Dennis" story? Well, his neck and shoulders are very tight, and he is often sore. I will do the stripping of Achilles and the Navel Radiation on him and he is good to go for a couple of days! He gets so excited about this that he is now wanting to take his Blood Pressure before and after those activities, not just the MORO. After attending Level 1 and 2 Rhythmic Movement Workshop in Melbourne, I started using it on all my clients, at the beginning of every session. Rachel suggested that we try EFT to help me deal with my feelings. I recently learning some of the RMT movements related to anxiety and I have found that they were highly effective instantaneously. These are simple and take only a few minutes of your time. My life has greatly improved because of my new knowledge, thank you! RMT provided tools/movement that can be easily used in all-settings. Strategies that are gentle and motivating. (The class was) taught in an easy & effective way that can be learned and used easily. This is the first training course that I left energized. . not drained. Liked best – Everything – all the personal touches, Carolyn’s stories, how we began and ended and intentions. Course surpassed expectations. The 4 day intensive class is a very informative course taught by Moira with great knowledge and passion. The new manuals are a fantastic reference. Thank you Moira for providing me with a very useful tool in my toolkit, when working with children with developmental, learning and behavioural challenges. I found the intensive class an eye opener for deeper, wider and clear understanding of basic brain theory, power of observations for Primitive Reflexes and their connections to efficient development and working towards Exact RMT Movements. Yes, you have my permission to use my comments with my initials for publicity purposes. I would highly recommend attending an RMT class to update and learn new ways of utilizing RMT techniques. In the three Intensives I have completed, each has provided a unique opportunity to learn and share ways of using RMT. Each one has been very profound for me both personally as well as professionally. 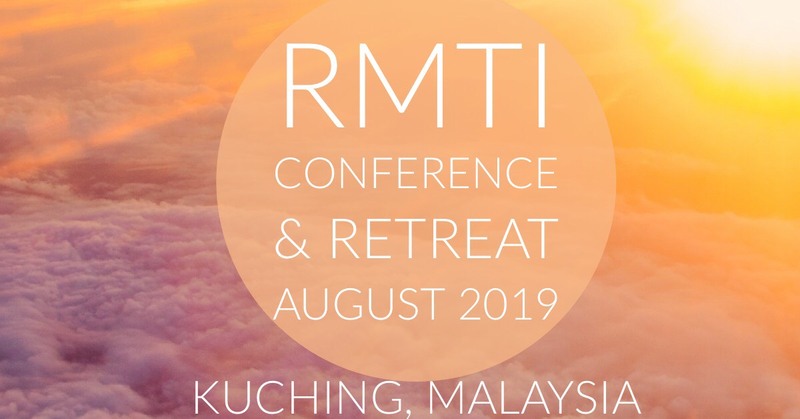 The Intensive training have given me an opportunity to gain deeper understanding towards RMT. Classes are very interactive, it forces me to recalled and present my understanding of RMT in creative ways. My greatest discovery was the practicality of RMT, and the effectiveness of less is more! Moira, Thank you for the rhythmic movement course I attended. I gained much on many levels. It definitely highlighted for me the strong possibility I may be very much stuck in the Fear Paralysis. I feel so stuck in many areas of my life and have been unable to 'break' through. The movements have given me another avenue of hope. The changes in my son were immediate and profound. After the very first RMT session of approximately 2 minutes of RMT my son slept soundly through the night with no cry-outs and woke up easily and happily for the very first time! I am proud to have been able to give my son some simple and fun tools (which are easily implemented into a busy daily routine) to be able to face his future with confidence and joy. I have recently attended RMT1 & RMT2 with Janice. I found that she is very thorough and knowledgeable in her subject area. She encouraged regular feedback during her teaching, and encouraged learners to develop their understanding. I also found that she demonstrated the movement techniques in a very competent manner, and gave positive feedback. Even though the course was intensive she demonstrated her enthusiasm, which I feel we all benefited from. I have been using RMT with Gaynor Ralls with my own son and knew I needed to learn everything I could, since as a teacher there are so many children I can help with RMT techniques. 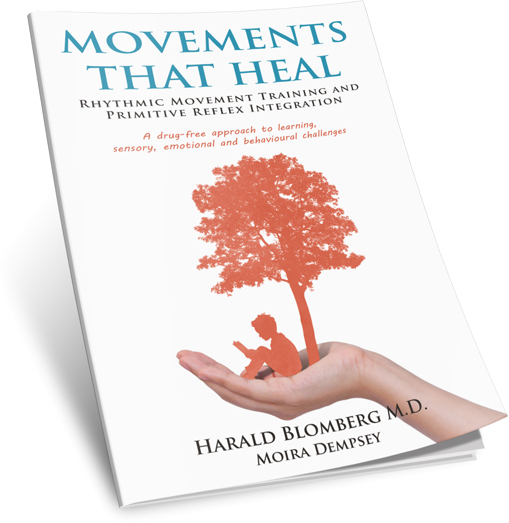 Movements that Heal looks at the reasons behind why the Rhythmic Movement Training and Primitive Reflex Integration program works. It discusses the developmental and environmental reasons behind many learning, sensory, emotional and behavioural challenges. New cover-same content.